We supply Polymer Feeders for Dry and Liquid Emulsion Polymers. Our basic polymer feeder unit comes with static flow meters and a positive displacement pump with a variable speed control for varying the polymer and water solution and water flow meters. Dry Polymers generally run 400:1 to 500:1 water polymer ratio while emulsion polymers will run 200:1. 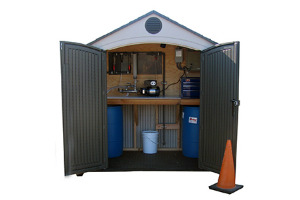 The basic units are economical for low budget or trial projects. Our more advanced units have digital flow readings, automatic start stop, remote control and monitoring, emergency shut down etc. Our skid mount polymer feeders come with everything but power, water and polymer. Our turn key package is designed to integrate into new or existing facilities seamlessly. Our dry (powder) hydration and dosing unit is fully automatic. The PLC monitored and controlled system provides a continuous flow of fully hydrated polymer solution eliminating fish eyes and inconsistent solutions. 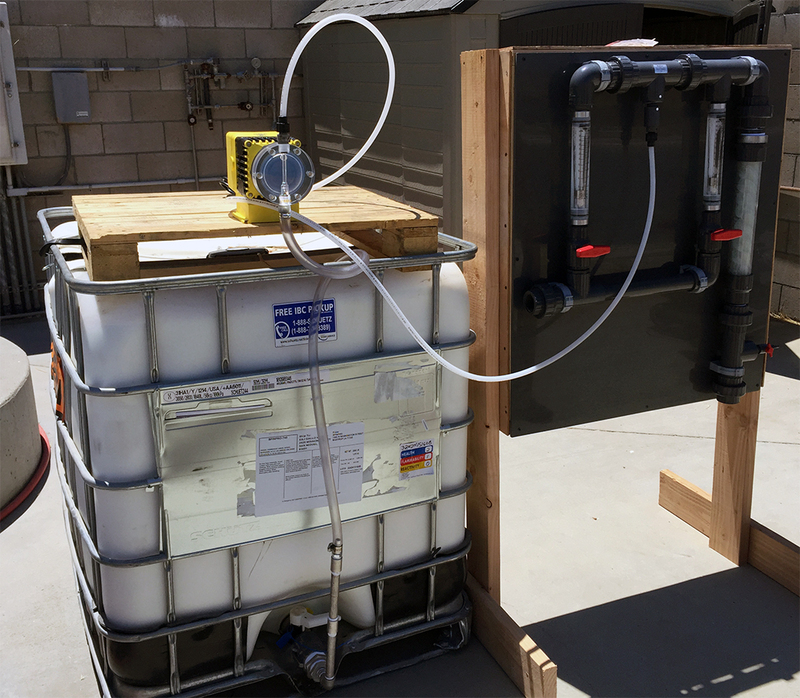 The dry polymer is measured and transferred to the water stream by an auger system that is capable of delivering a measured quantity of dry product to the hydration water stream. The solution strength is variable so the unit is adjustable to various polymer blends should you change product or suppliers. The PLC control is a proven trouble free system which consists of PLC microcomputer with an internal diagnostic and a simple easy to use menu screen. 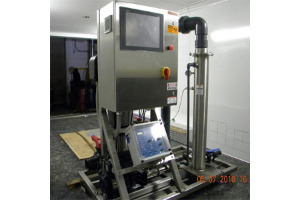 Our stock liquid emulsion hydration units vary in composition, size and flow rates. Our systems are designed so it is easy to add on monitoring and control features as required to match the individual requirement of our customers. First a flow rate is established and allowances are made for future changes to the facility. The main feature of our units is variability so that unexpected process changes do not leave you with equipment that does not keep up to your requirements. The next stage is to select the level of automation and control you require. 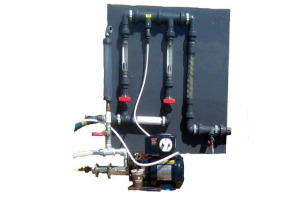 Our systems can be activated and deactivated by sludge pumps, level control or other process markers as well as manual operation and emergency shut down integration. Provide us with your requirements and we will offer you several options suited to you specific requirements.